NO SALE = NO COST WHATSOEVER !! We give you a Written Guarantee FREE Advertising ! FREE Web listings ! FREE Feature properties ! Because we have confidence in our marketing ability and Enthusiasm for our listings. 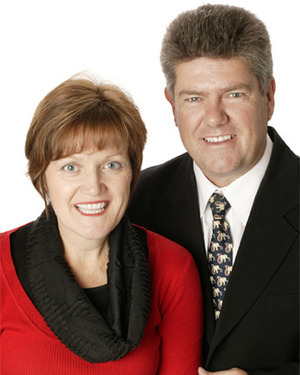 You deal directly with the owners of the business David and Mandy Coldham . Choose Coldham Realty, Why ? We’re Excited about our properties and we get them sold, with a high percentage in 21 days or less! NO Advertising Costs. We have enough faith in our marketing skills that we don’t charge you for advertising. Over 75 % of our business is repeat or referral business! We have specialised knowledge of residential sales and enthusiasm for our listings. We sell all types and price ranges of Homes in most Metro areas. When you choose Coldham Realty it is the “owners of the business” who handle your sale. We guarantee you won’t be passed around the office to junior reps or Personal assistants! We negotiate the best price and favourable conditions for you our vendor. We have a Professional reputation for getting a premium price and ensuring the transaction goes smoothly. We have your interests at heart and we look after the paper work to ensure you are protected. We work hard for you and follow up diligently to ferret out even the most elusive buyer and keep you fully informed of all activity, we have the systems in place to ensure this. We are very contactable and market a home as if it were our own, so you get ALL the feedback from the buyers. Overall our marketing works and we pride ourselves on our professional level of service and can refer you to numerous Happy Vendors we’ve helped in the past!